What a busy weekend we had! Saturday marked our first WCMW concert of the season and we had a great time with the Samirah Evans Jazz Trio! Steve and I decided to put together a brief reception after each concert this year so I've been collecting inspiration for a few weeks now. We knew we needed food that was crowd-friendly, easy to prepare and serve, and kept the flow of traffic moving. Mini food seemed like the perfect option and the presentation is just too cute! 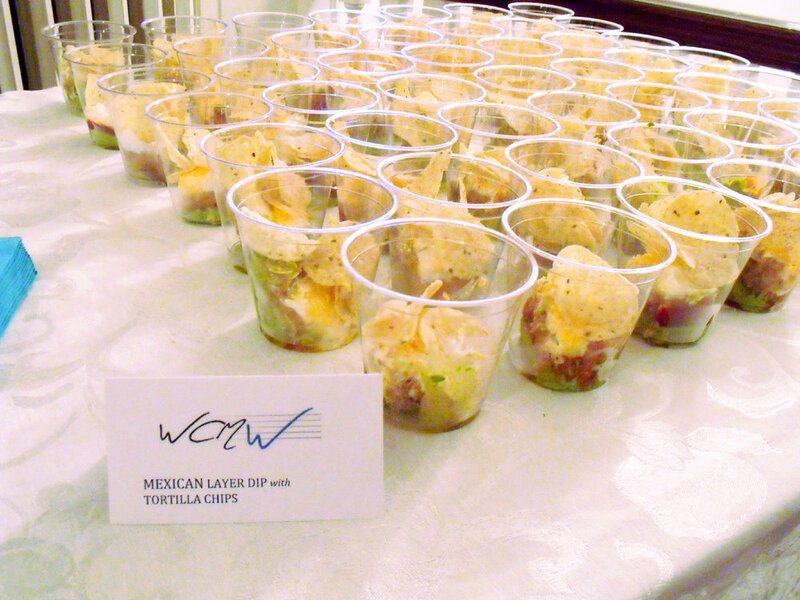 Being that Saturday was Cinco de Mayo, we fixed individual portions of Mexican layer dip topped with tortilla chips and served cups of chilled limeade. Delicious and it was quite the hit! Sneak peek! We'll be making these Caprese Salad bites in a few weeks - mozzarella cheese, cherry/grape tomatoes, and basil leaves. I love them!